Eligible Candidates must possess minimum of 5 Credits in 5 subjects at a maximum of two sittings including English Language (for ALL Courses), Mathematics (for Science-based and Social Science-based Courses) and Literature-in- English (for Law). The Obafemi Awolowo University, Ile-Ife will soon decide whether or not the institution will revert to its old method of admitting students, that is, conducting an entrance test (Post-UTME) or maintain the method it used for admission last year. Recall, earlier this week, the Minister of Education, Mallam Adamu Adamu announced that the federal government has lifted the ban it placed on varsities from conducting another admission test after the Unified Tertiary Matriculation Examination (UTME) conducted by the Joint Admissions and Matriculation Board (JAMB). 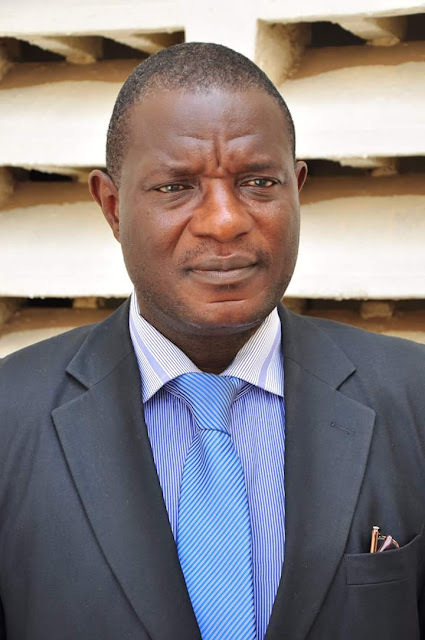 The authorities of Obafemi Awolowo Universities, Ile-Ife have appointed Dr. Femi Oguntuase as the new Librarian of the institution. Oguntuase is the immediate past Librarian of the Federal University of Technology, Akure (FUTA). He takes over from Mrs. Bukky Olufemi Asubiojo B.Ed., M.L.S. 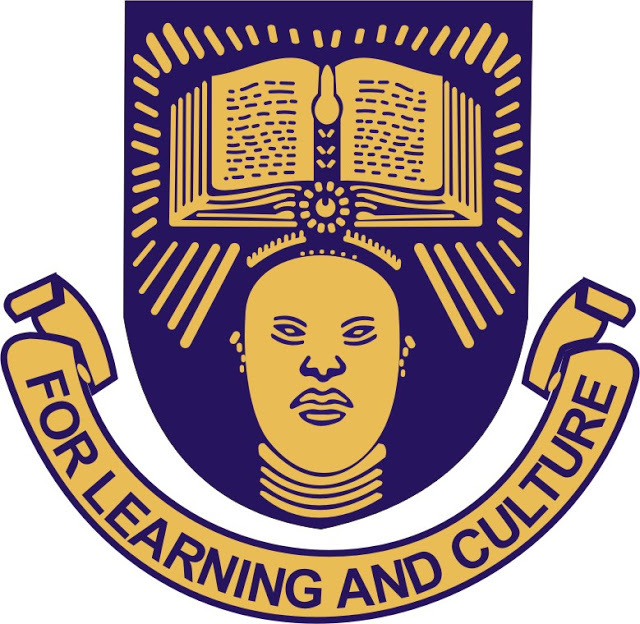 (Ibadan), PGD (Computer Science) (Ife). Do you know that year-in year-out, about 10,000 students apply for the OAU Predegree program? Interestingly, only about 2,500 of these students would be accepted into the program. It is therefore apparent that there is a need to get something extra to have the added advantage to get in. At Achievers Tutorial College, we are set out to help you stand with the selected few. As much as we help out with the subjects that you would be examined on, we also give out the necessary​ tips required to excel in the examination and even beyond. Join our classes today at Adesanmi Junction, After Sanctuary of Hope Church, along Ibadan road, Ile-ife, Osun State. Decent accommodation packages are also available for distant Students. For more details and enquiries, contact Tel:09067670627 or 08109438110. Following the outcome of the referendum meeting held on Sunday afternoon in Abuja by the union leaders, the Academic staff Union of Universities has declared an indefinite strike from Sunday 13th August 2017. 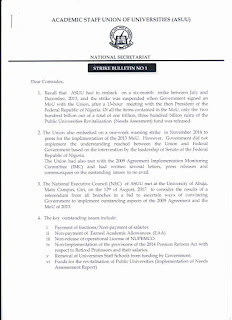 This was made public through a release signed by Biodun Ogunyemi,ASUU National President,he said this came after several branches of the Academic Staff Union of Universities (ASUU) have voted overwhelmingly for members in both federal and state universities to embark on an indefinite strike to press home the implementation of their demands.. This is coming few days to the commencement of the Harmattan Semester Examination. However,based on the information available through the OAU Registrar,D.O.Awoyemi , the examination will hold as scheduled. He encouraged the students to put their mind at rest,not to be distracted and prepare well for their examination. The list of successful candidates for admission into Obafemi Awolowo School of nursing for 2017/2018 academic session has been published.